hhmm, lets plan this.. Church, family lunch, beat the wife, watch foot-ball.. hhm sounds right..
Ahh, Sunday... Day of rest, roast lunches and black eyes. So that's what bible thumping means. Did anyone else notice the church in the background? 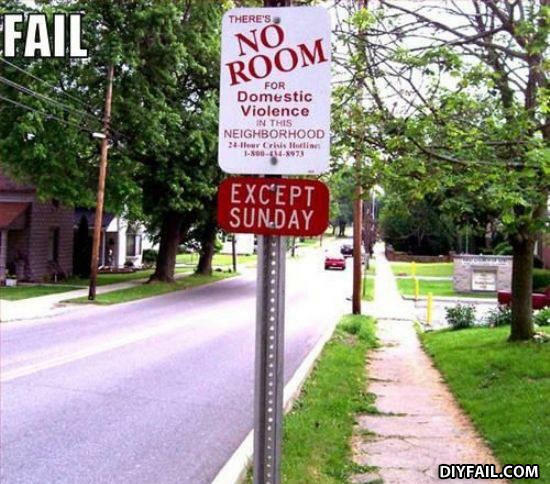 Six days a week, beat the wife, kids, pets, maybe a few other people, but on Sunday! Sunday I pray to God and he forgives my wife, and kids for MAKING me abuse them. All good on Sunday! All good! Where you last put it.